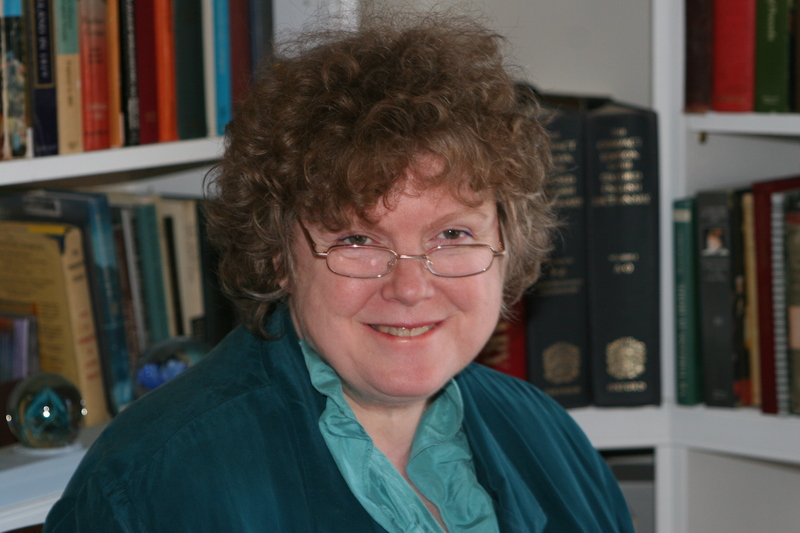 Interview with Joanna Bourne – and giveaway! After I graduated from college I stopped reading romance for seven years. Those first three years, I lived in Prague, where English books were extortionate and none of the handful of bookstores sold romance. Then I moved to London and did an MA, which required hours and hours of reading legal and academic articles. I finally picked up a romance novel again in 2009, and was hooked all over again. But I had ideas of what the genre was like—as if it wouldn’t have evolved—until I read about an author who’d released a novel the year before to huge acclaim. 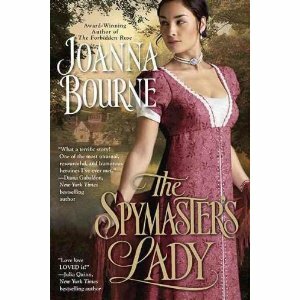 Joanna Bourne’s second debut (because it came out 25 years after her actual debut), The Spymaster’s Lady, changed everything I thought I knew about romance. With its clever, resourceful heroine and lyrical language, the novel helped me realize that romance can be literary and smart as well as entertaining. I’m so thrilled to have Jo as my guest today. She’s giving away the hotly anticipated BLACK HAWK (which comes out tomorrow, people!) to one person who leaves a comment, but first: Welcome, Jo! 1. Your debut novel, Her Ladyship’s Companion, was published by Avon in 1983 (you write beautifully about your first sale on Dear Author) and then you embarked on a career globe-hopping with the federal government. What made you decide to start writing romance again after a 25-year hiatus writing for the government? Fairly straightforward answer to that one. I stopped working overseas and returned to the United States. It was work I loved, but it was time to move on. Letting go of an 80-hour-a-week job does leave you with a little more leisure time. Now I can use all those exotic impressions from all those foreign places in my writing. 2. Readers have been antsy for years waiting for Adrian’s story. Your last novel, The Forbidden Rose, is set when Adrian is twelve, and on the All About Romance website you say, “Think of the worst twelve-year-old you’ve ever known, and then hand him a knife. That’s Adrian.” How would you describe Adrian as a romantic hero? Y’know, it’s really hard for writer to analyze her own characters. At least, it seems hard for me. Folks tell me Adrian is a ‘bad boy’ hero. A sort of James Dean. Adrian is the lad from the wrong side of the tracks. Dangerous, because he doesn’t play by the rules. Unpredictable. A little ruthless. Definitely not safe to love. I try to take that aspect of the young Adrian and run with it. What would a ‘bad boy’ — a very, very intelligent bad boy — make of himself? Black Hawk, the book that’s going on the shelves November first, is partly a Pygmalion story telling what Adrian created out of the raw clay of a street rat and thief. I hope folks enjoy reading about the teenaged Adrian as much as I enjoyed writing him. I hope folks like seeing him change. In maturity, Adrian is still dangerous, still ruthless, still unpredictable. Just — he’s not at all a ‘boy’ of any kind. 3. Your novels feature spies and other characters who operate on the fringes of society. Like writers, spies occupy the best place from which to observe a society’s quirks. What are the strangest aspects of Revolutionary French and Regency British history you’ve discovered from your research? Are there aspects of your own culture you find you can critique or understand better through writing about Europeans from two centuries ago? You’ve found me out. *g* I write books set in the wars of Revolutionary and Napoleonic France because I want to explore the human side of a struggle between ideologies. What makes this particular era so exciting and so disturbing and so just-frustrating-as-heck is that we’re not talking about some fight between Good and Evil. Both sides of the conflict were right about so much. Good people fought other good people over issues that mattered. So some of what I’m doing when I write is, I look at why people take the side they do. I match them up with folks who have made the opposite decisions and I try to toss in a moral choice here and there, just to make life difficult for them — in the best tradition of Romance writing. Nothing too heavy-handed, I hope. 4. I own a time machine (shh, don’t tell anyone), and I’m letting you take it to any place in history…except the ones you write about. Where are you taking it, and who are you visiting? Paris. The 1920s. Where else? The Paris of A Moveable Feast. Hemingway, Picasso, Scott Fitzgerald, T.S. Eliot, Gertrude Stein, Cole Porter. Eloquence and elegance. Clever words and fine wine. Dinner at Les Deux Magots. I’m the one in the back with a cup of coffee, watching and listening. 5. Your blog is a fantastic resource for other writers, and you clearly put a lot of time and effort into sharing your knowledge of the writing craft. Why is it important to you to help other writers improve? What’s the best and worst writing advice anyone’s given you? Best advice — ‘Never, never, never give up.’ A published writer is an unpublished writer who didn’t give up. I probably got given all kinds of bad advice, but since I didn’t listen to any of it, I’ve forgotten it all. Time to pimp BLACK HAWK! Tell us all about it. Black Hawk is the story of two spies falling in love. It would be so much more convenient if they both worked for the same country, wouldn’t it? Doesn’t happen that way, though. We follow Justine and Adrian from their first meeting in Paris just after the French Revolution, through — oh, it’s just one perilous mission after another, with them being sneaky and competent. They work against a common challenge as often and as enthusiastically as they connive against each other. Their final confrontation comes in London when the long war between England and France draws to a close. Adrian is the slum-bred brat. Year by year, he sheds that slum from him Learns to speak correctly. Heck, learns to speak correctly in six languages. In the end, he threads his way through every level of British society, but he’s at home nowhere. Justine, daughter of the French nobility, suffered terribly in the Revolution. But she’s not a damaged soul. She wouldn’t let those bastards have the satisfaction of destroying her. Adrian and Justine understand each other as no one else in the world can. It makes them good friends and tender lovers. It makes them dangerous enemies to one another. In Black Hawk, they’re both lovers and enemies. Then it gets complicated. Joanna’s giving away a copy of Black Hawk to one lucky commenter. Leave a comment by Monday November 7 to enter. Winner of the Rose Lerner giveaway! I’m a huge fan of historical romance, and this one sounds particularily interesting. I’d be very happy to read it and good luck with your next project! I found this one hard to write because — does this make sense — I went into the story knowing so much about the character. I had to make his love story fit inside the events already determined in other books and in my own mind. Made it difficult to plot. I hope this doesn’t show so much in the final read. I love historical romance and have Joanna’s books on my wishlist…I fell in love with an excerpt I read for The Spymaster’s Lady and was hooked! Adding the entire series to my list. Thanks for the giveaway! I love excerpts. Even more, I love standing in a book store and flipping through the books, trying to find beautiful language. I am so glad you enjoyed Spymaster’s lady. Jo is such an amazing writer and teacher. What sets her above the rest of her contemporaries is that she helps new writers so much, with her blog and on the Compuserve Books and Writers Forum. Thank you, Jo, for your beautiful books and helpful instructions. You know . . . the whole internet is just full of people who blog about the most amazing stuff. I have to do a lot of research. So I go googling about the world, looking for information, and everywhere l encounter such generosity and knowledge. Humans are pretty cool, aren’t they? Jo – I’ve enjoyed your books and setting. I’m looking forward to reading about the adult Adrian & Justine and their backstory. You’ve written this series out of chronological order. Even though you’re the author, did you still need to take detailed notes to keep everything straight? Also, you mentioned your foreign assignments: I was wondering how many languages you speak? Best wishes on the release of Black Hawk. I have advice. Do not write stories out of order. It drives you crazy. Yes. I have detailed notes. I make mistakes anyway, but I will never admit this. Unless somebody finds them, and then I’ll have to fess up. Or make something up that explains it. As soon as I get some time together I’m going to post some timelines and character lists. I really am. I speak only English and just a little French. Enough to understand it. I’m not very good at languages, I’m afraid. Cannot WAIT to read Black Hawk!! Been on edge for more of Adrian’s story after every Bourne novel!! Hard to follow Forbidden Rose, but I’ll bet this will be awesome. I try to make the books standalone. Black Hawk is probably less standalone than the others. I think it is best read immediately after Forbidden Rose. I am so glad you like Forbidden Rose. Jo has become an auto-buy for me. I love her point of view. I love how unique her voice is in romance. I love her lyrical sentences. She made me fall in love with Romance all over again and I can’t wait for Black Hawk! I am so glad you like the books. It makes it all worthwhile when the readers can get into the fictive world and care about my folks as much as I do. I have tried to do well for Hawker. He does deserve his happy ending and a lady worthy of him. I’m actually about to start The Forbidden Rose soon and I can’t read to read more from her. I enjoy historical romances and her storylines are ones that appeal to me. Forbidden Rose is a good one to read before Black Hawk. I hope you enjoy it. I like Historical Romance, in part, because it takes us entirely away from the real world. This is a Good Thing, sometimes. Because I am eager for Black Hawk, I decided to re-read The Spymaster’s Lady. It’s s sentimental favorite, and my first Joanna Bourne book. One of my favorite lines belongs to Adrian; “What complex and interesting nights you two must have.” It still makes me laugh out loud. From the moment I met Adrian on the page, I wanted his story. Thank you so much for redeeming romance writing for me. I am certain Black Hawk will surpass even your wildest hopes. Y’know . . . I can ‘hear’ him saying that. I do hope you like Black Hawk. Looking forward to reading Justine and Adrian’s hijinks. I just re-read Spymaster’s Lady and was once again charmed by Adrian’s panache as he lies dying in a French prison. And Justine handing over the baby to Maggie–quelle femme magnifique! I return to that scene with Maggie in Black Hawk and we see all that from Adrian’s point of view. We also get some of the action that leads up to that scene that wasn’t shown in Forbidden Rose. More of the reasons Justine made the decision she did. Then we get to see what happens after that. I hope you enjoy it. It’s a book I’ve been working up to a while. Thanks for the giveaway. I’ve been looking forward to The Black Hawk since the last book in this series. Can’t wait to see what happened between Adrian and Justine! I’m also curious how he becomes Doyle’s boss when Doyle was his first mentor…I have a host of other questions, but I am hoping those will all be revealed when I read Black Hawk…. Forbidden Rose is set in 1794. Adrian is 12 or 13 — he doesn’t know how old he is. He’s roughly the same age as Justine. Adrian meets Jess in 1802. She’s the ‘package’ he takes away from Lazarus in Spymaster’s Lady. He’s nineteen or twenty and she’s just turned twelve. He’s a grown man. Jess is a child. When Jess moves into her teens, Adrian doesn’t change that avuncular relationship. Quite aside from being in love with somebody else, Adrian would never touch the daughter of a friend. Adrian is Head of Station for the Russia, operating out of St. Petersburg, between 1803 and 1805. After that, he’s an Independent Agent for several years. He becomes Head of Station for Lyon in 1807. MLAS is set in 1811. By that time, Adrian is 29-ish and Head of Section of England. Now, Adrian is Head and Doyle is the subordinate. This is exactly the way Doyle wants it. To me, this is an interesting and inevitable development in the power dynamic between the two and in the way the Service is run. I try to show some of this. Oh, and I forgot to ask–Am I right in thinking that Adrian thinks of Jess as something of a little sister? I am so very excited that Adrian’s book is here. I’ve been looking forward to it for years. I’ll have to force myself not to hurry through it. That will be tough though because I know that I won’t want to put it down once I finally have a copy in my hands. I can hardly wait! I thought a long time about how to tell his story. Lots of difficult choices to make in how to structure it. I hope I picked the right way. I just finished rereading ‘Spymaster’s Lady’ again in preparation for Black Hawk – and loved it even more than before! Hooray Annique! And hooray younger Adrian! I am DESPERATE to find out how the term “God’s avenging chickens!” will be topped in this new volume. 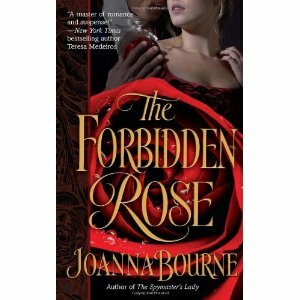 I have been re-reading The Forbidden Rose, trying to finish before I get The Black Hawk. What amazes me is that there are so many details that I had forgotten! Ididn’t remember Justine or Pax or a couple of the love scenes!! Didn’t remember the wedding! Wow! I like it better second time around and it is good to read about Adrian and be prepared for his story as an adult. I could have sworn that Adrian was a child in My Lord and Spymaster! Might have to re-read that as well! This business of writing out of order is confusing for everybody. Me. You. Ming the Merciless. Everybody. It’s like keeping track of River Song. It’ll be easier for folks who come to this new and read them in order. I actually have your previous books in my tbr pile. I bought them after hearing so many great things about them but I’m one of those people who like to have the entire series first if possible. I have no doubt that I am going to love all the books! And I so appreciate authors that enjoy their research – it always makes a better read. The example of loving research that comes to mind is JRR Tolkien who is said to have written the Lord of the Rings so he’d have a place to use his invented Elven language. I’m still waiting for my copy of Black Hawk but it won’t be long now. Can’t wait to read it. I do hope you enjoy it. You know how it is when you’ve finished some work and send it off and wish you could go back and change a few things . . . that’s how I feel. Just a few parts I think I could have done better. Joanna, I am going to raise my head from my release day copy of “The Black Hawk” just long enough to say two things: You’ve hit another one straight outta the park, (natch) and…. (she’s going to smack me, friends) what’s next for you and your readers? And thank you. I’m glad you like what you’ve seen so far. Grace, I’m so glad you asked it! I didn’t dare! The Black Hawk sounds sooo good, I can’t wait to read it. Great giveaway! I will cross my fingers for you . . . er . . . well, I’m crossing them for everybody, really. I do hope you get a chance to read it. Sometimes my books are in the library system. I’m about 2/3 done. It’s just an amazing book. Among many other things, you’ve managed to make it be about the same Adrian you’ve written about and yet stun us with what he does, over and over again. Totally unpredictable and totally right. And as always, the language is stunning. Over and over it takes my breath away. Annique and Grey, Sebastian and Jess . . . Alas, we do not get to see them in Black Hawk. I’m privileged in that I know where they are and what they’re doing. I can rest easy about their future. It’s hard to add cameos of outside characters to a standalone book. Just hard. I should probably try to do it more, though. You say such kind things about Black Hawk. I hope it holds up until the end and works out for you. To be honest, I haven’t read any of your other stories, because I don’t usually read spy stories, but now I’m intrigued. It sounds, though, like I’d better plan to read this from the beginning of the series rather than starting with this book. I’m curious since you’ve worked all over the world, is there any one place overseas that is your favorite? I do not especially think of the books as being spy stories — neither Regency spies nor hard-bitten cold-war-style spies. I think of them as adventure stories. As to cities . . I live in the country and that’s where I want to be. But if I had to live in a city, it would be Paris. I love Paris. And just so it doesn’t seem like I’m slighting the States . . . I love Seattle. And I think I’m going to get swept away by New York City. And yet Doyle is in every book you write…In some ways, I am beginning to think that this entire set of books is about Doyle! I am compiling a list of things I want to know. Its a mark of how real your characters seem that I am sure you know the answers to all of them. And I’m gleefully toting up the numbers of new or newly-detailed characters who seem book-worthy. I keep meaning to put more information about the fictive world up on the blog. Never seems to be time enough, y’know. I have the complete Spymaster series so I went back to The Forbidden Rose again to relate some of the episodes to The Black Hawk. Don’t want to put any spoilers so I’ll just say that this is a wonderful book. Finally learned so much more about Adrian…and Doyle, too. Though I’m a little confused because in The Forbidden Rose, you said Doyle is the minor son of an earl and yet in The Black Hawk he is the heir to the Earl. Whatever happened to his half-brothers, those who bullied him when he was younger? I am glad, though, that you showed Doyle in a different light here in Black Hawk (again, I can’t say more without giving away some spoilers). I also miss Grey and Annique. They are just a little more special for me because I read The Spymaster’s Lady first. This book hooked me to you, actually. This is the first historical I’ve read that’s not just plain romance but has action and adventure in it 🙂 Plus the dialogue! It’s as if I’m listening to them speak right in front of me! Quite a different way of writing dialogues without writing it in first person. I do have to say that I’ve to make a timeline for the whole Spymaster series. Your reply to Lessee sure helps. It’s clever the way you told Adrian’s and Justine’s story in flashback. I’m eagerly awaiting Pax’s story. Hope Severine gets her own story, too. Doyle’s two older half brothers came to untimely ends, as one would expect. The details are a vague in my mind, but I suspect it involved horses, high speed and alcohol. I have to keep a timeline of the series myself. I do plan to post it again on my blog, but it’s very spoilerish. And I have to remove all my marginal notes and stuff. I’m working on the Pax story now. It’s coming together. Slowly. Don’t know if I’ll ever do something with Severine or not. Not right away, anyhow. I just finished it. I am about to go back and reread it. Its just amazing. I was so focused on finding out what happened that I know I missed some beautiful language and moments and nuances. I love how Doyle and Marguerite keep raising him without taking away his independence, and I love that Justine sees that. I love how we see him feeling moved by or comfortable with Justine by reverting to his earlier language. I love how drawn he is to her even when he doesn’t trust her. I love how he lets her lead the action in the first flashback even though he knows he has the experience she doesn’t and then walks her through how to deal with it. And I’m so glad that you wrote so much through his eyes. It really is his book. I also can’t wait for Pax’s story–does it essentially happen during the same time as SL? Oh thank you so much. I feel wonderful that the book managed to say what I wanted to say. And yes. This really is his book, The first one where it’s shaped more by the hero’s journey (so to speak) than the heroine’s. Pax’s story is set in late 1802, maybe slopping over into 1803 depending on how I write the later action which is all very nebulous right now. In time, it does overlap with the last half of TSL, though I’m not sure the action of the two will intersect. i hope someday ur books will be translated in indonesian language because it hard to find english books here…i must buy from booksdepository.com and it needs a whole month to come to my place…. I love bookdepository though. Some places it is about the only way to get English language books. I don’t know what the situation is with kindle, but I feel that may be the wave of the future in Indonesia. As to a translation — I would love that. It’s wonderful that Adrian has his story and I’m looking forward to reading it. I do hope you like the book. It was hard to write overall, but had fun with it.